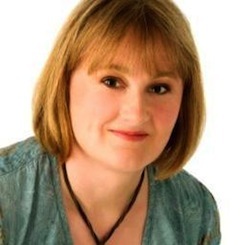 Eleanor Fitzsimons is a researcher, writer, journalist and occasional broadcaster. Her work has been published in a range of newspapers and journals including the Sunday Times, the Guardian and the Irish Times and she is a regular radio and television contributor. She has worked as the sole researcher on several primetime television programmes for the Irish national broadcaster, RTE including an examination of the historic relationship between Britain and Ireland commissioned to coincide with the landmark visit of Queen Elizabeth II to Ireland. In 2011 she returned to University College Dublin after a twenty-three years absence and graduated twelve months later with an MA (first class honours) in Women Gender and Society. Completing the module on feminist history convinced her that this was where her true passion lay and stumbling across the unforgettable Harriet Shelley when researching an entirely different aspect of Irish history, coupled with a chance remark by acclaimed novelist John Connolly, that feature writers really just want to write books, prompted her to write this biography. She also has a Bachelor of Commerce degree and a Master of Business Studies degree from UCD and spent many years working at senior management level in the market information sector in both Ireland and the UK. She lives in Dublin with her husband and two children. When I decided to write my first book it was hugely important to me that I chose the right agent to work with. This search became a key element of my research. I wanted an agent who specialised in non-fiction and had a track record of working closely and supportively with emerging writers. I wanted an agent whose client list includes people that have a similar profile to my own. As all my contacts are Dublin based and I believe that my book appeals to a much wider readership, I wanted to find an agent with a wealth of experience of working in the UK publishing industry. Ideally I wanted an agent with a passion for biography and historical research and my preference was for an agent who is also a writer. Andrew Lownie, former journalist, former bookseller and author in his own right with a well-deserved reputation for working closely and supportively with his clients, fits the bill perfectly. My experience of Andrew’s enthusiasm and wonderful advice to date has convinced me that I made an excellent choice. Congratulations to Eleanor Fitzsimons whose Wilde’s Women has been awarded a silver medal in the Biography category of the 2018 Independent Publisher (IPPY) Awards . Eleanor Fitzsimons’s Wilde’s Women was one of three finalists in the Biography category of the American Book Fest Best Book Awards 2017 . A fresh, revealing, and entertaining account of the most notorious figure of his age and the women who inspired him….Wilde’s Women is the first book to tell the story of the female family members, friends, and colleagues who traded witticisms with Wilde, who gave him access to vital publicity, and to whose ideas he gave expression through his social comedies. In this essential new work, Eleanor Fitzsimons reframes Wilde’s story and his legacy through the women in his life, including such scintillating figures as Florence Balcombe; actress Lillie Langtry; and his tragic and witty niece, Dolly, who, like Wilde, loved fast cars, cocaine, and foreign women. Fresh revealing, and entertaining, full of fascinating detail and anecdotes, Wilde’s Women relates the untold story of how a beloved writer and libertine played a vitally sympathetic role on behalf of many women, and how they supported him in the midst of a Victorian society in the process of changing forever. Congratulations to Eleanor Fitzsimons whose Wilde’s Women , published by Duckworth and Overlook, has made the short list for the Rubery Book Award, an international prize for indie writers, self published authors and books published by independent presses. 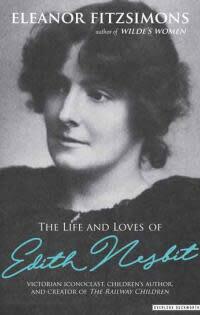 Duckworth and Overlook have jointly bought World English rights in Eleanor Fitzsimons’s new life of Edith Nesbit (1858-1924) considered to be the first modern writer for children and a key influence for writers from C.S. Lewis to J.K. Rowling. 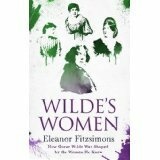 Eleanor Fitzsimons interviewed about her new book Wilde’s Women.